Volunteer Trail Leaders (new & returning) interested to lead Maple Sugaring school field trips are invited to attend this informative half day training session. A review of the lesson plan, a walk into the sugar bush to tap maple trees and setting up equipment will get us ready for students (PS-5th grade) to learn the art and science of making maple syrup! Our Maple Sugaring school program is offered to the Greater Jackson area schools February 18 through March 22, 2019. Volunteers are also requested to help with Maple Madness weekend public program on March 16th. 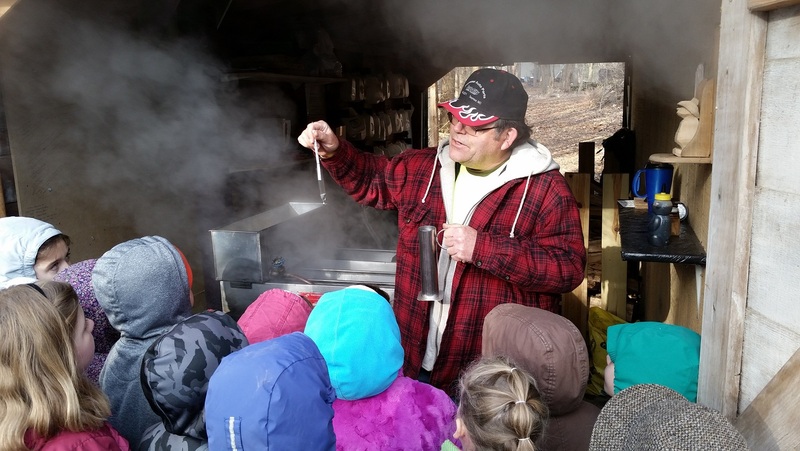 Maple Sugaring is one of Dahlem’s most popular program for all ages. If you’re interested, please RSVP to naturalist educator Carrie to reserve your seat by Feb. 7 (4:00 pm). Please call 517-782-3453 or email cbenham@dahlemcenter.org. Thank you! A great opportunity for retirees, and any adults and college students interested to work with children and have a love for nature are welcome to become volunteer trail leaders. Training will take place both in/outdoors. Please dress for the weather.